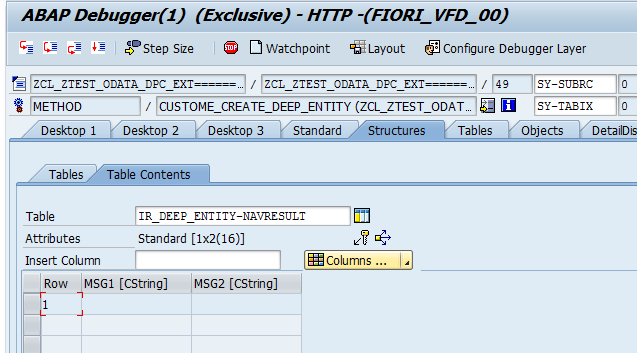 In this blog, we consume a oData Service in Fiori-App using Eclipse. This oData Service is to perform Create operation (oDataModel.Create). i.e. 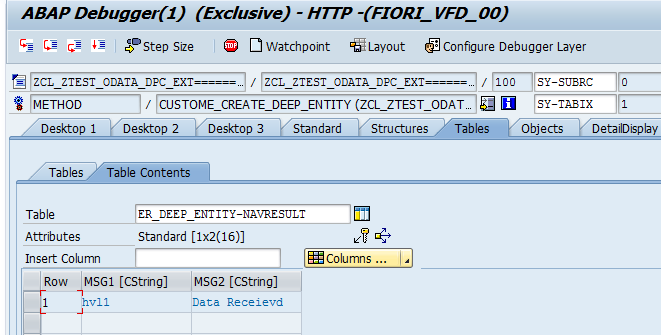 with this oData Service, we post multiple table as input and in response we get output in separate table. These table are nothing but ‘Enity Set‘ structures. On press event, oData Service will be called with given input and URLs. 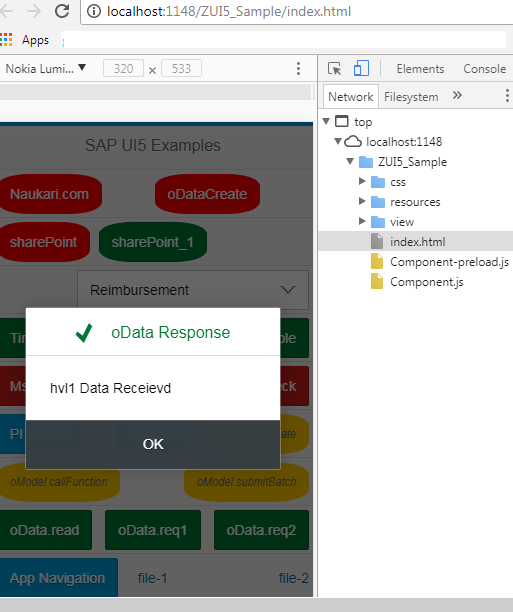 With help of following debug screen, we can understand how data is flowing from fiori app to oDataService. 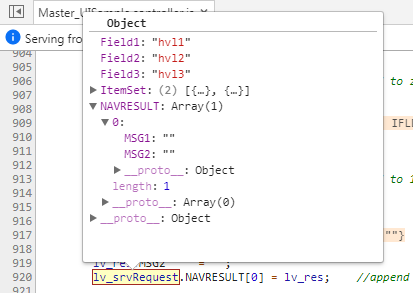 Here both output elements ‘MSG1’ and ‘MSG2’ and concatenated and displayed with help of a message box. 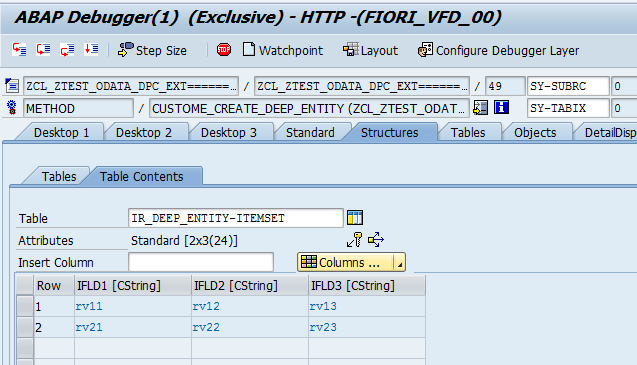 Thus we have seen how to call/debug a oDataService from FiroiApp using Eclipse. 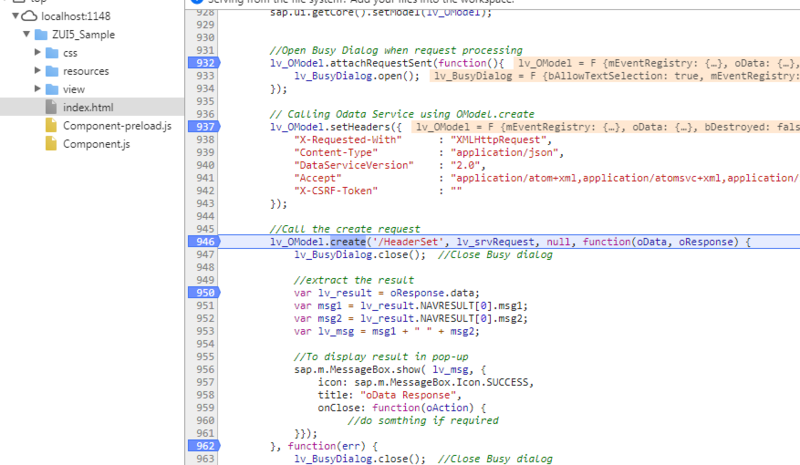 Thanks, next coming soon “Call oData Service in Eclipse (Fiori App): oData.read()” in case of “Multiple Table Output from oData Service“, keep checking. 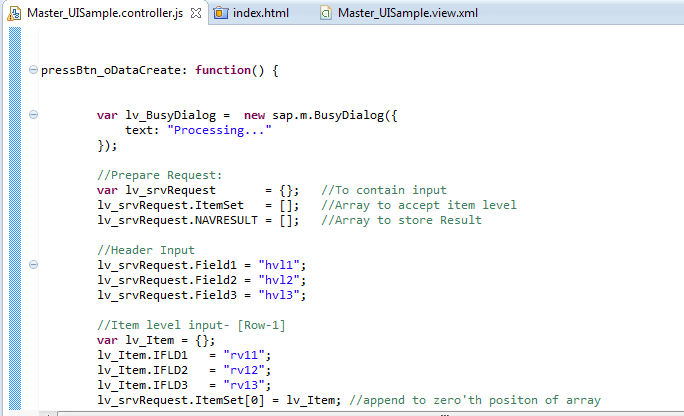 in this example, how did you lv_OModel.create configure service call as a synchronouse call? 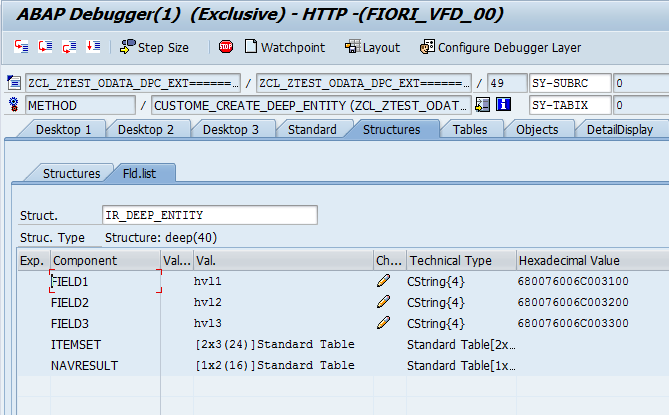 and in case we keep it ansynchronous, would the ABAP debugger still be stopped? 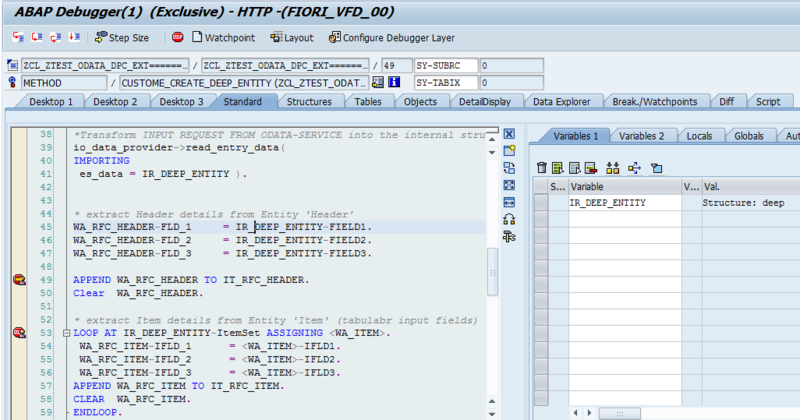 and yes ABAP debugger still be stopped inside these re-defined methods. Much appreciate your response on my question. Thanks for taking time to breaking down things in parts to my question. 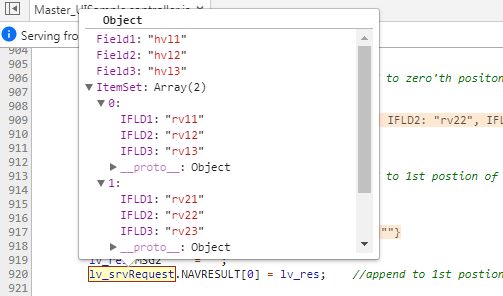 I was referring the synchronous call in terms of, when linev_OModel.create is executed in console, does the debugger in console still wait for you to complete the ABAP debuggin or whether it continues in the console without the data response from SAP server. and in case of error, it will stop inside ‘function(err)‘ i.e.